Kring van Dorth - Kring van Dorth에 위치한 아파트. Kring van Dorth의 지도, Kring van Dorth에 위치한 아파트에 대한 사진 및 리뷰. Kring van Dorth에 호스텔, 저렴한 호텔, 아파트, 게스트 하우스, B & B를 찾고 계십니까? Kring van Dorth의 모든 최고의 가격은 kr.Dorms.com안에 있습니다. 매달 수천명의 여행자들이 이곳에서 예약을 진행하시듯이 고객님도 Kring van Dorth의 저렴한 가격에의 호스텔을 안전하게 예약하실 수 있습니다. 웹사이트에 고객님이 원하시는 핫 트렌디 시내 주변의 호스텔을 쉽게 찾을 수 있으며, 대학가, 기차역, 공항, 모든 Kring van Dorth의 관광명소에서 가까운 호스텔을 찾을 수 있습니다. Gorssel is located in the Achterhoek region, between the towns of Zutphen and Deventer. 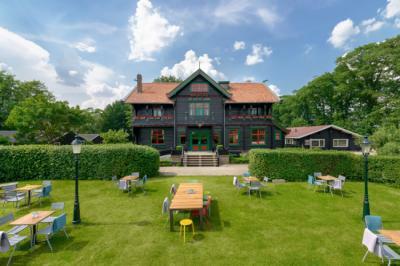 Stayokay Gorssel is housed in the magnificent Norwegian-style hunting lodge 'De Kleine Haar'. The place is clean, and gorgeous. Nice and friendly staff. Good food, great atmosphere, great price, and you get more of what you pay for! Perfect! Nice breakfast, relaxing environment, staff were really nice and the room is clean.